Locals Only- Fatigo Live in studio 2A! Danielle Panther: Harmony, Lead vocals, and shaker! They Talk in studio with Sophie Gibson-Rush about Bisbee and Phoenix, friends, songwriting and fun times with Fatigo. The Phoenix Fatigo will be in Phoenix at Yucca Taproom on April 7th. Fatigo at Studio Mariposa in Naco, Mexico Tuesday April 4.
check out their offficial website. Every Monday night you can hear local artists, and find out about where and when they will be performing around town. From 9-10 pm you can hear a live performance from a local performer/performers LIVE on the AIR! 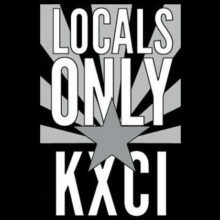 This is a very special and unique thing- Tucson is very fortunate to have a show like Locals Only. If you want to see what’s going on, you can tune in to cable channel 20- and watch a live video from KXCI and Creative Tucson. Monday nights at 9pm.